POWERFUL FEATURES AND EASY TO USE, NOW YOU'RE IN CONTROL! DealerCenter’s DMS technology leads the industry with innovation, dependability and value. 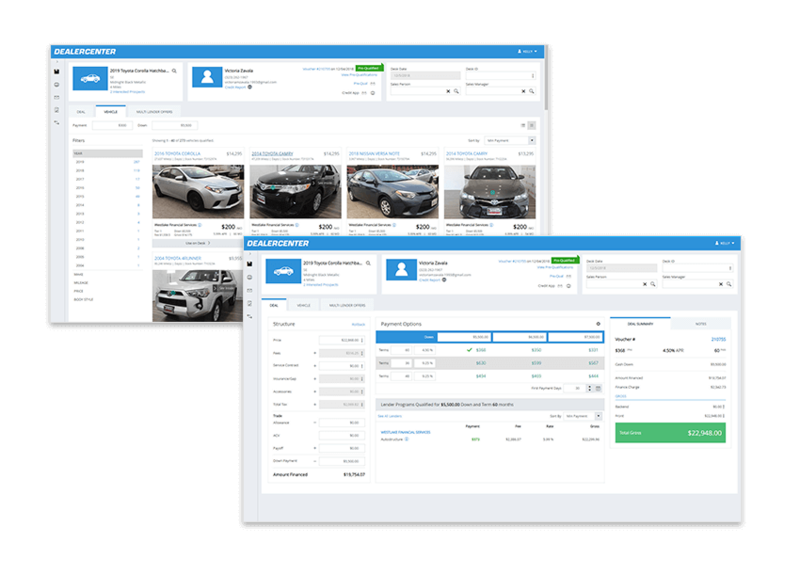 No other platform combines more functionality into a single interface, making it easier than ever to run a dealership with efficiency and profitability. 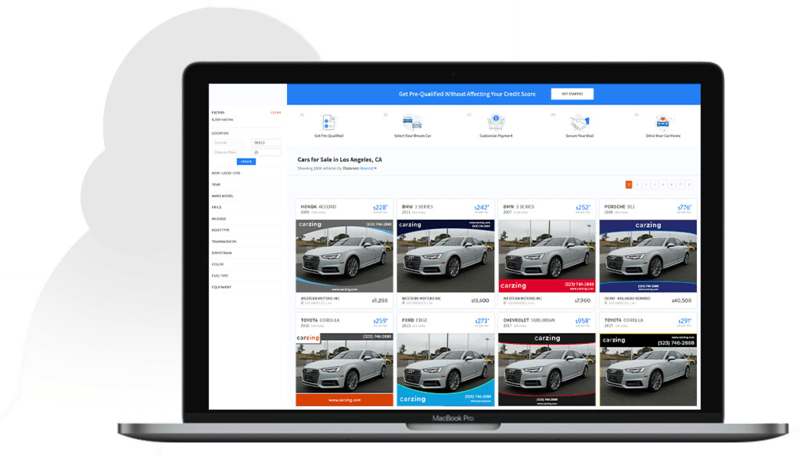 Our dealer reviews on Capterra and Google speak for themselves—DealerCenter’s Dealer Management System is the best choice to run your dealership. 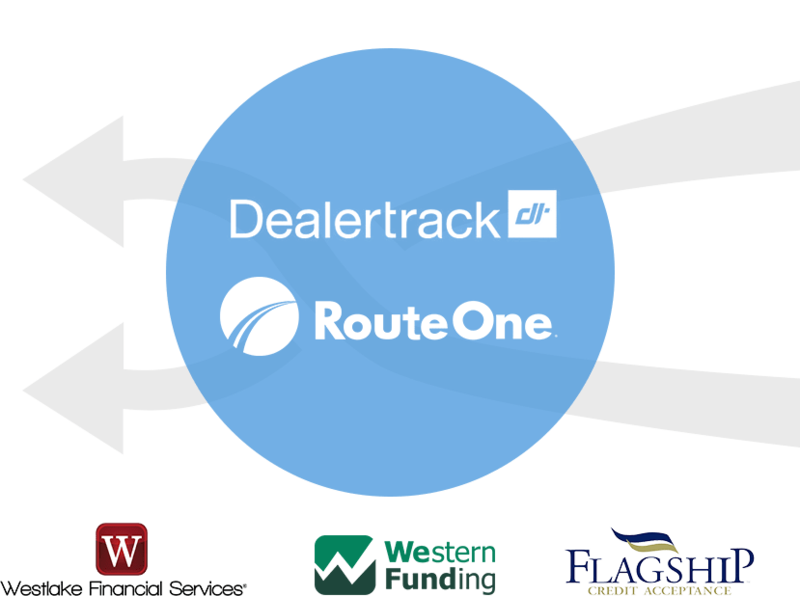 Submit credit application and receive lender decisions using RouteOne and Dealertrack finance sources directly within DealerCenter. Instant decisions with Westlake Financial Services and Western Funding 24/7. 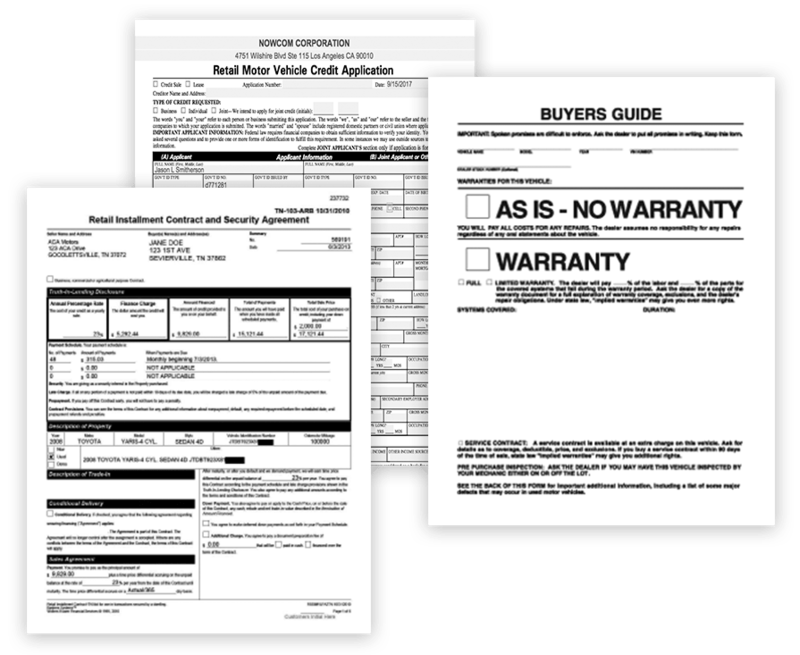 Unlimited eFax credit applications to any lender. 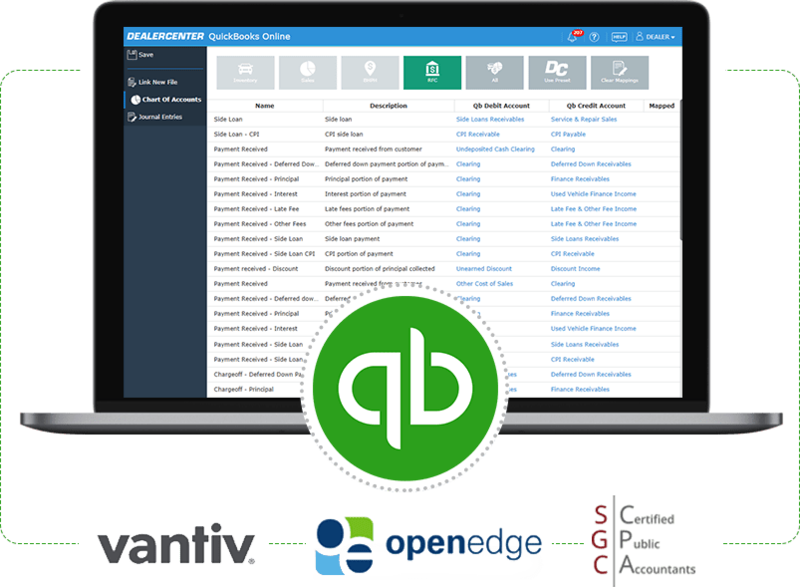 Manage add-ons, fee’s and back-end points with ease. AutoStructure™ technology optimizes deal structure to maximize profits. iMAXX™ instantly produces Westlake Financial Services decisions on all active inventory ranking based on gross margin. 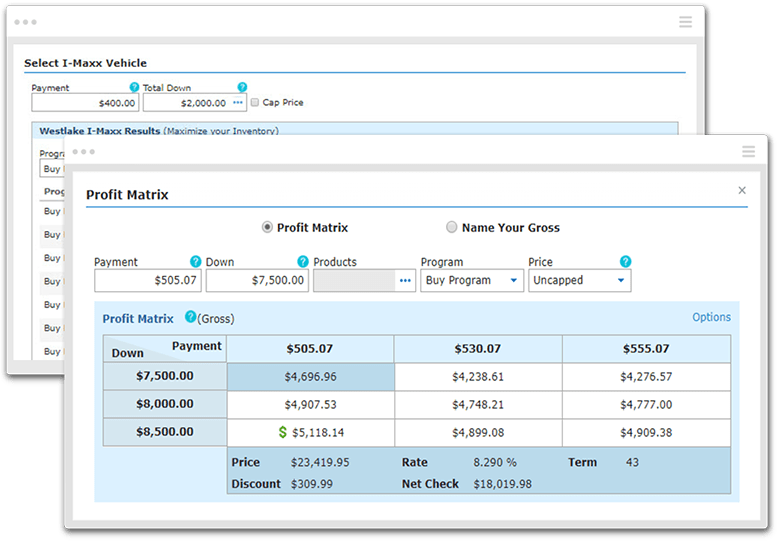 Profit Matrix produces nine (9) different deal structures with gross margin based on customer’s desired down and monthly payment. Name Your Gross produces five (5) different deal structures to achieve the desired gross on any given deal. Compare multiple financing & vehicle options for customers without affecting customer’s credit. Present customers with monthly and down payment options in seconds. Generate digital Credit App request right from desking. 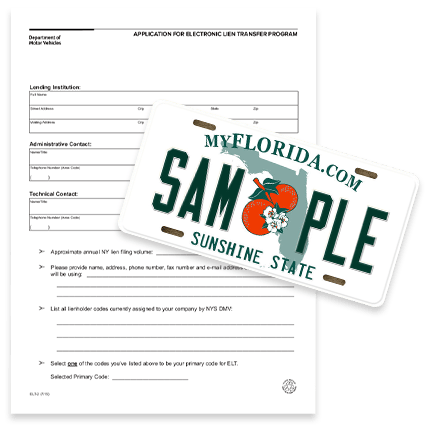 Save deal options to customer record. Print quotes & send directly to customer email. Process electronic titles, request/transfer temp tags, and request metal plates via our partnership with AutoDataDirect. Bankers System retail installment contracts (RIC). Unlimited access to extensive free forms library. eContracting for Westlake Financial Services deals. Custom print packs for all your deals and lenders. Dot matrix compatible with free training and support. Reynolds & Reynolds LAW 553 and Wolters Kluwer Bankers System retail installment contracts (RIC). Free specialist setup, training, and support. 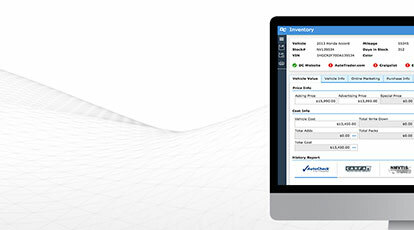 Automatically convert DealerCenter transactions into journal entries. Optional consulting services available from industry expert SGC CPA’s. 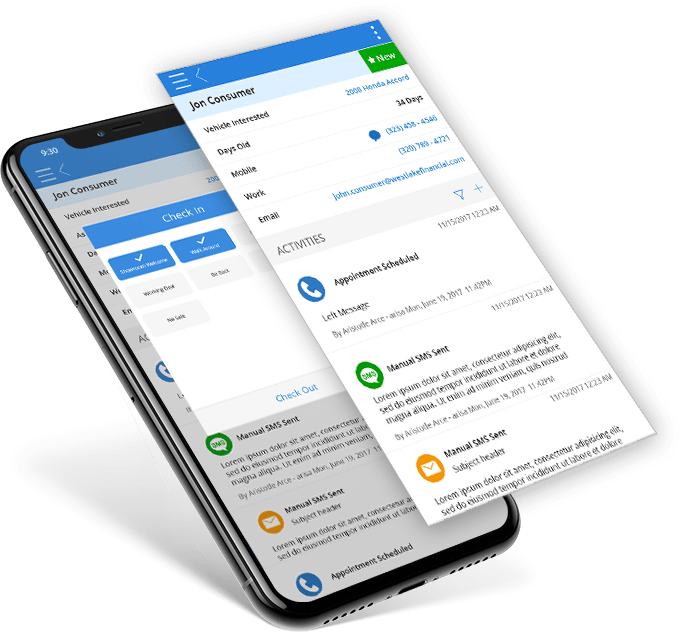 Experian, Equifax and TransUnion direct connect integrations. Access credit profiles, FICO scores, OFAC and other bureau services. Precise ID with KIG fraud prevention and compliance solutions. Buy Here Pay Here (BHPH) dealers. Optional text and email payment reminder capabilities. 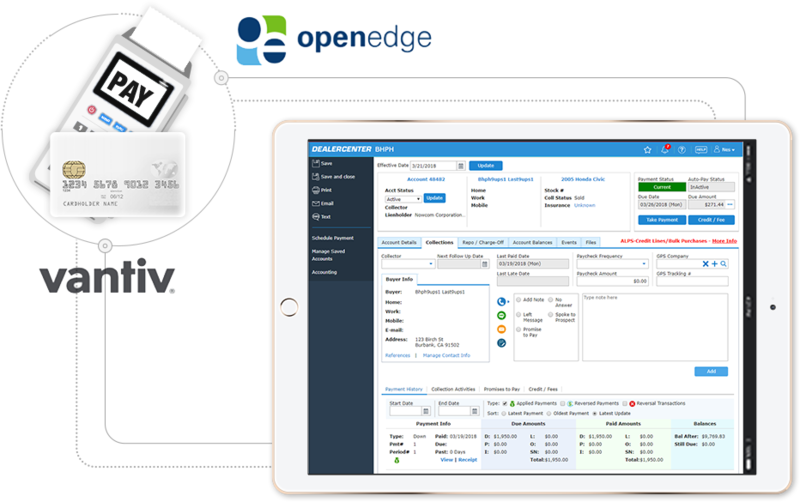 Full service payment processing integrations with Vantiv and OpenEdge. Automate recurring payment processing, ideal for Buy Here Pay Here (BHPH) dealers. Cost, recondition and age tracking and reporting. Photo-overlay and editing tools to enhance images for online promotion. View deal statuses on the go! other dealer app in the market.